In 1991, Gabriele Basilico and Fouad Elkoury were part of a group of six international photographers on a mission to Beirut city centre at the end of the Lebanon war. Beirut was put on the international photography map thanks to these pictures. In 2008, Fouad Elkoury proposed a new mission. 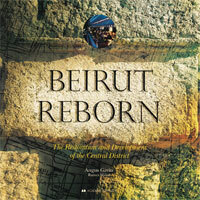 With Beirut going through a unique period of change, it was essential to document the urban development by producing a photographic archive of quality, revealing the mission of Beirut itself as “one of the world’s most complex, legendary, ever-vibrant, ever-troubled cities.” Four photographers were selected to compile Beirut Mission, according to complementarities in their approach and experience. 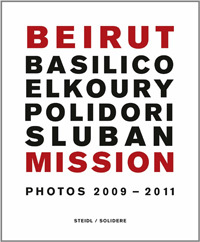 Fouad Elkoury and Klavdij Sluban were invited in 2009 and again in 2010; Robert Polidori came in 2010, and Gabriele Basilico in 2011. The Lebanon war dominated life in Beirut from 1975 to 1990. When it ended, the country embarked on a massive national reconstruction program. 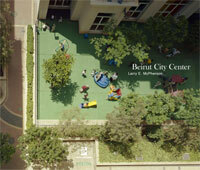 Beirut was to be rehabilitated and its city center turned into the finest in the Middle East. Between 2002 and 2004, Larry E. McPherson spent a total of six months in Beirut to document this transition. His understated, visually affectionate photographs convey the natural beauty of the city’s position between the Mediterranean and the snow-covered Mount Lebanon. The city center now encompasses archeological sites made into public areas, gardens, perfectly restored Ottoman and French architecture, and elegantly integrated new construction, realizing the ultimate dream that fired the vision of Rafic Hariri and inspired the Solidere team. The Foch-Allenby and Etoile area epitomizes the development of Beirut’s civic, business and cultural identity as a national capital and as a port city. Evolving from the heart of the old city in the mid-nineteenth century to the showcase of the French Mandate in the Levant, the area became the symbol of the city’s reconstruction following the 1975-1990 Lebanon war. Proceeding according to a pre-approved but flexible master plan, the recovery of Beirut city center is a major postwar reconstruction and urban regeneration project. It is spearheaded by Solidere, a private real estate company established by special legislation in 1994 and capitalized with property right holders’ contributions in kind and new investors’ cash contributions. 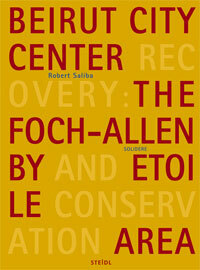 A measure of its success is the conservation area of Foch-Allenby and Etoile, now a major popular site in Beirut. International experience in urban and architectural conservation was adapted to local materials and know-how. Modernizing infrastructure and upgrading the public space were reconciled with preserving cultural identity through the reuse of conserved structures and the adoption of specific stone masonry repair techniques. Archival, survey, planning and design material generated during the recovery of Beirut city center and its conservation area, reveal how urban design policies formulated in the 1920s and 1930s, the transition period between tradition and early modernity, were finally brought to their full potential. The renewal of Beirut city center is currently one of the world's most challenging urban regeneration projects. Led by the private sector, its institutional framework is pioneering. The project’s planning and implementation embrace many issues: infrastructure renewal, urban archeology, new development, restoration of the historic fabric, the creation of a social arena where the city can reconnect, and the re-launching of the Lebanese capital, once pre-eminent in the Middle East, into a world of emerging opportunities.